March, 01, 2018 Munich, Germany – Devexperts, the developers of retail and institutional trading platforms and market data solutions, announced today that dxTrade, a multi-asset and multi-market trading platform, supports cryptocurrency spot and derivatives trading. dxTrade is a cutting-edge trading solution for experienced brokers with an established business process and customer base looking for new opportunities. It incorporates A-book / B-book / STP and hybrid models of risk management, and an ability to internalize order flow on a broker’s side, as well as offers rich technical analysis and market analysis tools on a client side. The modular architecture, consisted of time-proven reusable components, makes it possible to easily add new crypto-assets and to trade cryptocurrency derivatives. This includes spot with physical delivery, cash-settled futures and futures with physical delivery, in addition to options. Alternatively, brokers can also offer CFDs on all of these instruments. 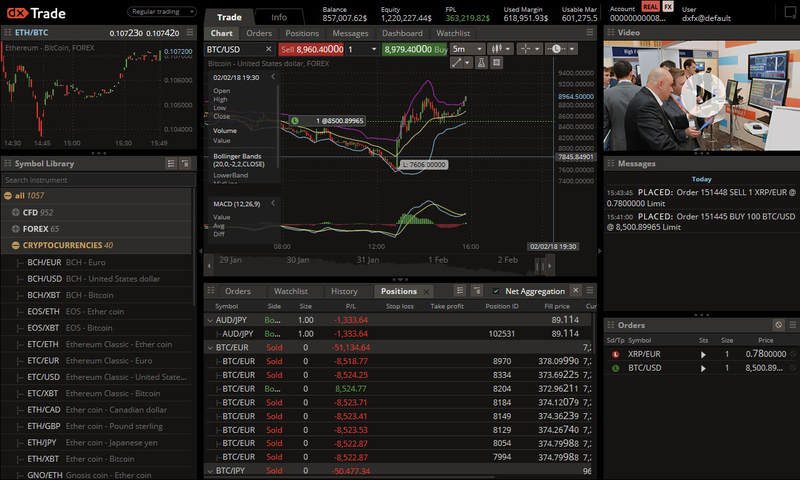 dxTrade is powered by dxFeed, a Devexperts market data division service with real-time cryptocurrency market data for Bitcoin, Litecoin, Ethereum, Zcash, Ripple, Monero, etc., as well as for Bitcoin index from different crypto exchanges and Bitcoin futures from Chicago Mercantile Exchange (CME) and Cboe Futures Exсhange. dxTrade has the capacity to add multiple market data sources depending on the requirements of a particular broker. The platform can be white-labeled or customized, with scalability in mind and 24/7 high-quality support.